It's time to talk about the long-awaited release of the new Ford F-150. This legendary truck has been a fan favorite for years, offering drivers the functionality of a full-size, heavy duty pickup that’s versatile enough for day-to-day use. The 2018 F-150 promises to impress Ford fans, introducing an improved transmission that enhances performance and fuel efficiency. Through a combination of improvements and popular features from previous models, Lakeland Ford owners excited about the latest in the long popular series. Here are a few things you should know about the 2018 F-150. Since being introduced in 1948, the Ford F-150 has maintained the top spot in its class by continually staying ahead of the market. The 2018 model does just that, offering five engine choices featuring technology to improve fuel efficiency without compromising engine power. Most models feature 10-speed automatic transmission for smoother shifting. According to Motor Trend, fuel economy now tops out at 20, 26, and 22 mpg for city, highway, and combined respectively. The 2018 model brings the strength and durability of the classic F-150 to the next level, featuring a military-grade aluminum-alloy body that resists dents and corrosion. Although Ford has strengthened the frame with more high-strength steel, they lightened the overall weight by 60 pounds for better fuel efficiency. 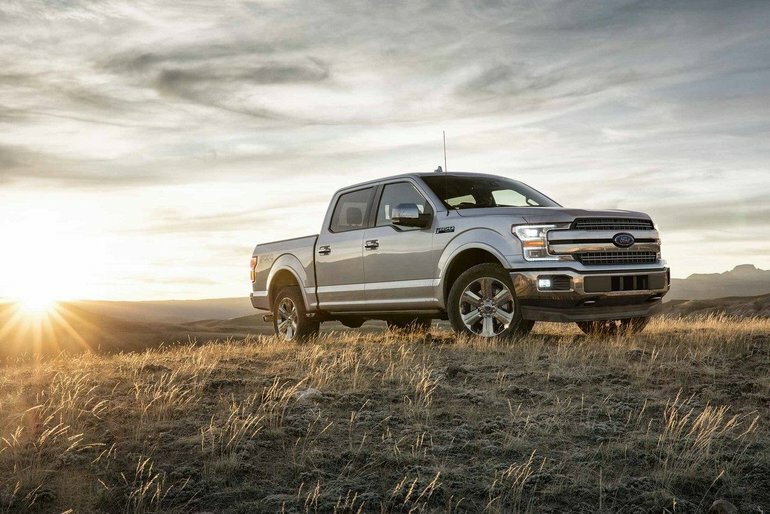 The 2018 F-150 delivers the technology of tomorrow. With built-in SYNC Connect technology, drivers can remotely start, lock, and unlock their vehicle and track its location. Lakeland Ford owners can also schedule a specific time for their F-150 to start, guaranteeing an immediately warm car when it’s time to leave for work on a cold morning. The built-in 8-inch LCD screen makes it easy to see fuel economy and towing capacity, along with information on trip data, off-road settings, and more. 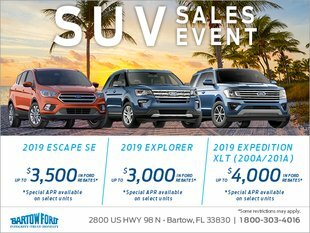 Bartow Ford is ready to show customers all the 2018 Ford F-150 has to offer. Ford constantly goes further to make their cars better, and thanks to their dedication, the F-150 is poised to remain a consumer favorite for years to come.